Come down to Books on Beechwood to meet local author Susan Viets. She will be here signing copies of her new book Picnic at the Iron Curtain: From the Fall of the Berlin Wall to Ukraine’s Orange Revolution on Saturday, September 29 from 11:00am to 1:00pm. Susan was the first Western journalist to work in the Ukraine in 1991. 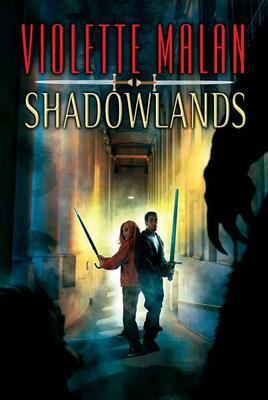 Come by the bookstore on the evening of Thursday, September 20th to meet Canadian fantasy author Violette Malan. She will be here from 5:00pm to 7:00pm signing copies of her new book Shadowlands – the second book in The Mirror Lands series. The first book in the series is called The Mirror Prince. “The war in the Lands of Faerie has ended. The rightful ruler now reigns as High Prince over all of the levels of the Lands. But there is still unrest, there are still those who resist the turning of the Cycle and the new regime. While there is conflict in the Lands, while the Healing of the People is incomplete, there is little help to be spared for the mere mortals who live in the Shadowlands – the place we know as Earth. And so the High Prince dispatches Stormwolf – formerly a Hound but cured by his Prince’s magic and restored to the Rider he once was – to the human world to call home all the People who remain refugees there. But what Wolf finds in the Shadowlands is horrifying. The Hounds of the Wild Hunt who were trapped there during the war have learned how to prey upon the souls of humans, draining them of the magic that is the very lifeblood of the People. Some of Violette’s previous books (the first book in The Mirror Lands series as well as books from her Dhulyn and Parno Adventures series) will also be available at the signing. Join Books on Beechwood and three local mystery authors, Peggy Blair, Brenda Missen, and C. B. Forrest, who will be reading from their latest novels at The Scone Witch, 35 Beechwood Avenue, on Tuesday, September 18 from 5:00pm to 7:00pm. “A man’s body is found on the Cape overlooking Grand Bank, Newfoundland. At first everyone thinks it’s a heart attack or stroke. But then it is discovered that he was poisoned. Who would do this and why? Finding that out falls to Sergeant Winston Windflower of the RCMP along with his trusted side-kick Eddie Tizzard. Along the way they discover that there are many more secrets hidden in this small community and powerful people who want to keep it that way. Mike Martin was born in St. John’s, Newfoundland and now lives and writes in Ottawa. He makes his annual pilgrimage to ‘The Rock’ every summer where he spends some time in St. John’s, Grand Bank and Gros Morne National Park. He is a member of Ottawa Independent Writers, Capital Crime Writers and the Newfoundland Writers’ Guild. We look forward to seeing you all here on September 22! 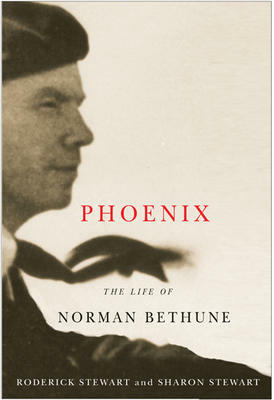 This is the most complete biography so far of the controversial Canadian doctor, Norman Bethune. Written by the Toronto history professor, Roderick Stewart and his wife Sharon, it includes new research into Bethune’s medical adventures in Spain, as well as China. Born in l890 in Gravenhurst, son of a Presbyterian minister, Norman Bethune went to World War I, the tenth man in Toronto to enlist, was wounded at Ypres, but returned to join the British Navy. In civilian life, he practised medicine in Montreal. As a surgeon he was quick and ruthless, often antagonizing fellow doctors and shouting at the nurses. In l935 he went to a congress in Russia and came home determined to get medicare into Canada. In l938 he went to Spain to fight the fascists. Later that year he left Vancouver for China, where Japan had invaded that country. It was in China he drove himself to death, operating where there was no one to watch him but the sick and wounded and no word from an outside world to tell him he was not fighting a lost cause. He got an infection and died, aged forty-nine, in November, l939, two months after his own world had gone to war. People who knew Bethune in Canada found him so eager to change the world that he broke all rules of human behaviour. In China, on the other hand, they found him a hero, one of only five national heroes in that country. It is a provocative story that Stewart has told in two earlier books on Bethune and should become the definitive basis for all serious discussion on Norman Bethune.